intra-sonic is an electronic duo consisting of Visda Goudarzi and Artemi - Maria Gioti and based in Graz, Austria. Intra-sonic focuses on the exploration of sonic human-computer interaction both from a performative and a compositional perspective. Through our performances we try to explore different notions of human-machine interaction, including live coding, new interfaces for musical expression and artificial intelligence. In addition to interaction, our interests include sonification and participatory and collaborative sound art. Artemi-Maria Gioti is a composer and researcher working across the disciplinary boundaries between art, science and technology. Her interests include human-computer interaction, artificial intelligence, sonification and the development of mechanically controlled and sensor-augmented instruments. 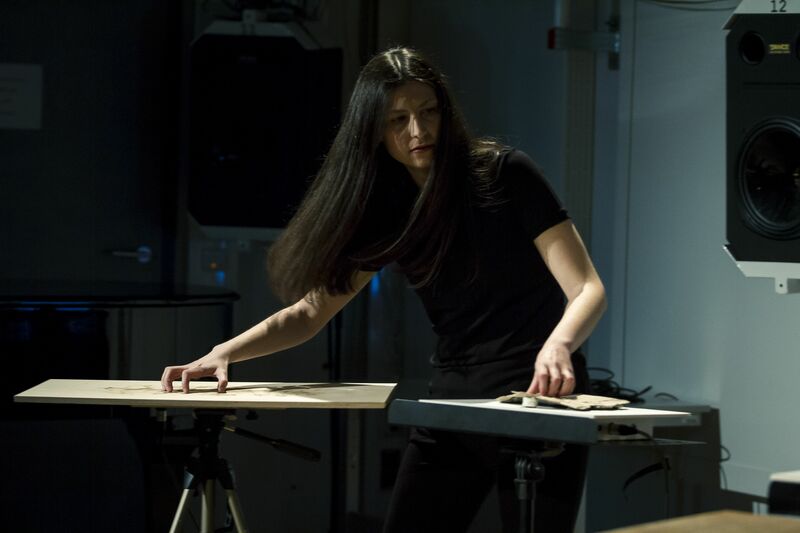 As a composer and researcher she has appeared in international festivals and conferences, among others: NIME 2017 (Aalborg University, Copenhagen), ICMC 2016 (HKU Utrecht, Netherlands), SMC 2016 (HfMT Hamburg, Germany), INTER/actions 2016 (Bangor University, UK), Electroacoustic Winds 2015 (University of Aveiro, Portugal), ICAD 2015 (IEM Graz, Austria), Next_generation 6.0 Festival (ZKM Karlsruhe, Germany), 3rd International Forum for Young Composers (Lisbon, Portugal) etc. 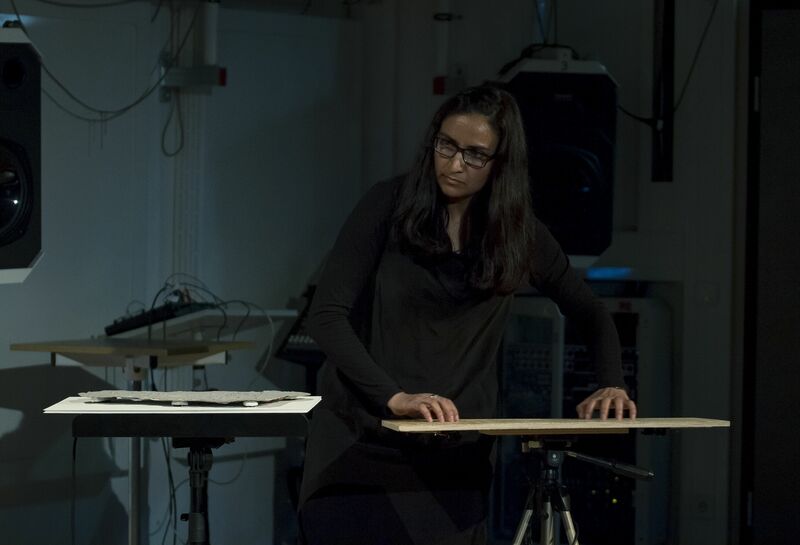 Visda Goudarzi is a music technologist working at the intersection of audio and human-computer interaction. She earned her PhD in Sound and Music Computing from Institute of Electronic Music and Acoustics (IEM) at University of Music and Performing Arts Graz, Masters degree in Music, Science, and Technology from Center for Computer Research in Music and Acoustics (CCRMA) at Stanford University, and a Masters degree in Computer Science from Human Computer Interaction Group at Technical University of Vienna. Her research interests include auditory interfaces, interactive and participatory design, sound and music computing, live coding, and data sonification. © 2016-2017 intra-sonic. All Rights Reserved.